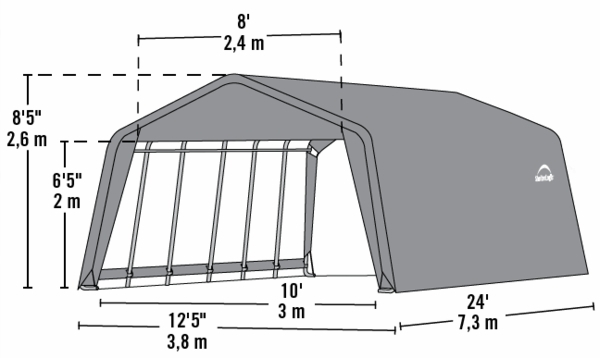 Shelter Logic wants you to know that if your garage is no longer capable of holding your possessions, you do not need to worry one bit! 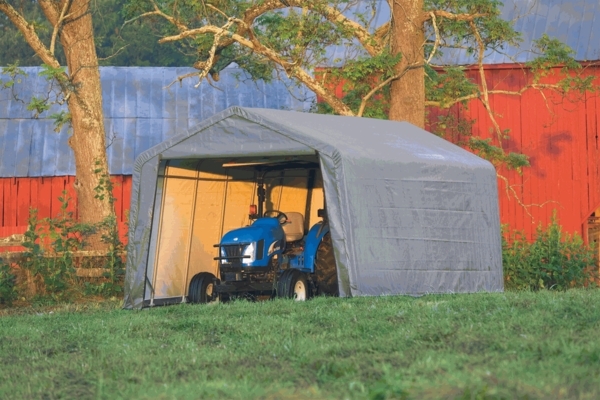 They have developed a Peak Style Portable Garage Canopy that is more than capable of meeting every one of your needs. Coming in a Grey color, the dimensions that it boasts are 12 feet by 24 feet by 8 feet. After taking all of this information into account, it is clear that this item will give you all of the resources needed in order to protect your valuables. Is there an extension kit that would lengthen this to 40 ft?